AllegroMedical.com presents the Medi-Pak Bouffant Performance Elastic Cap. Made of lightweight, but durable, spunbonded fabric that permits increased airflow, keeping the wearer cool and comfortable during long surgical procedures. 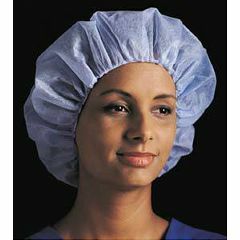 Perfect for the operating room or general covering to avoid contamination.